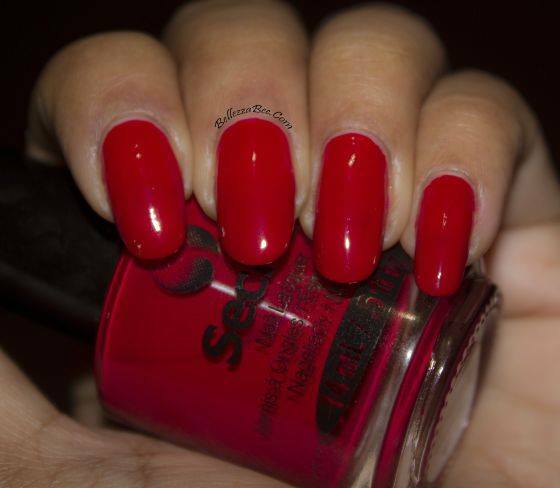 I love the fact that my favorite top coat Seche Vite also has a line of nail polishes simply called Seche Nail Lacquer. For today's nail art I'm using two coats of a luscious Christmas red called Signature. 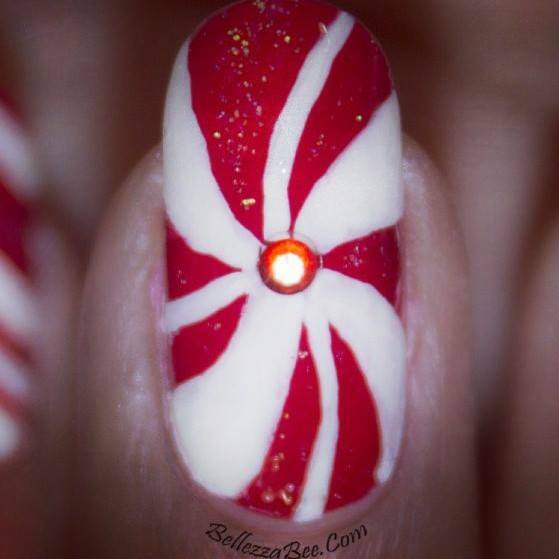 I was so in love with this color that I wore this alone for my Christmas party! It's so festive. 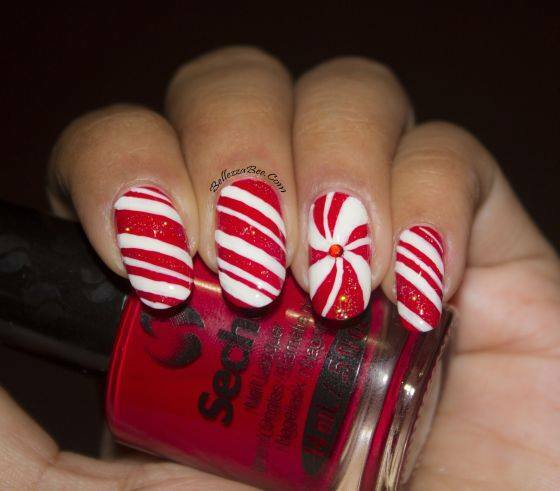 Now onto the nail art, I simply used white acrylic paint and a fine liner brush to create candy stripes across the nail beds. I did it in various thickness and spaced them out differently in each nail. I also add a bit of Folk Art extreme glitter acrylic paint in Hologram for a hint of sparkle.